Shopping for Alfred Hitchcock Bobble Heads? One of the most influential filmmakers of all time is now a bobble head in Funko's line of fantastic Wacky Wobblers! 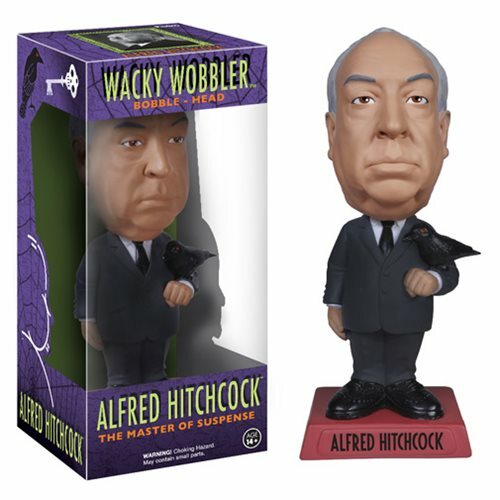 This Alfred Hitchcock Bobble Head features the horror icon as a fun bobble head. Measures approximately 7-inches tall. Ages 14 and up.